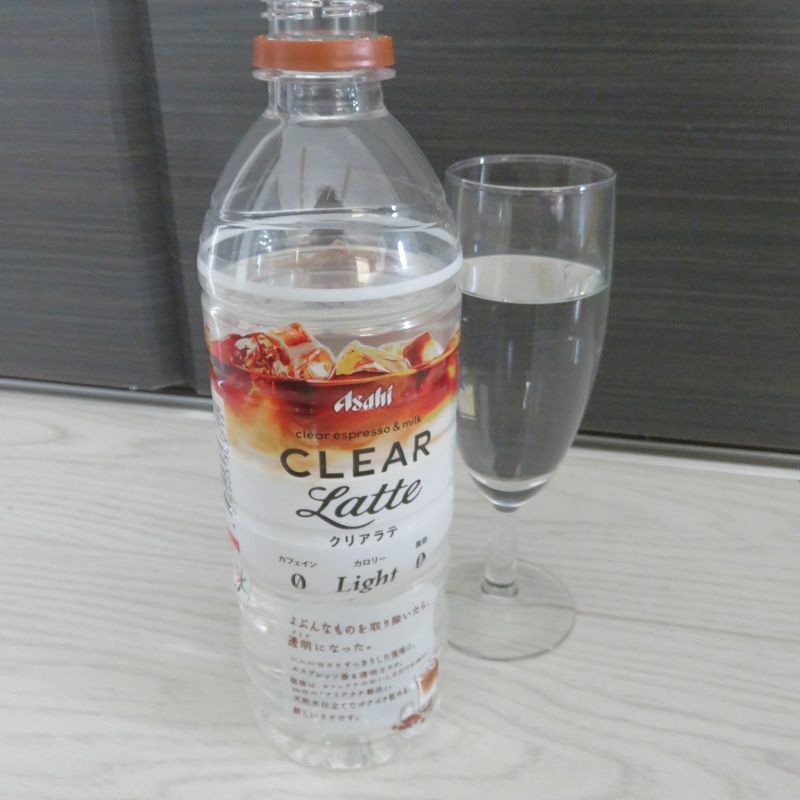 Japan has a crazy weird obsession with clear drinks at the moment. They even featured some of the things like apple tea on a TV show I saw. Of course, the famous people around the table each took a taste and told the world how delicious and refreshing each sip was. But, even though I have seen them in vending machines and in grocery stores, I never thought to get one. That was until this one in particular caught my eye. 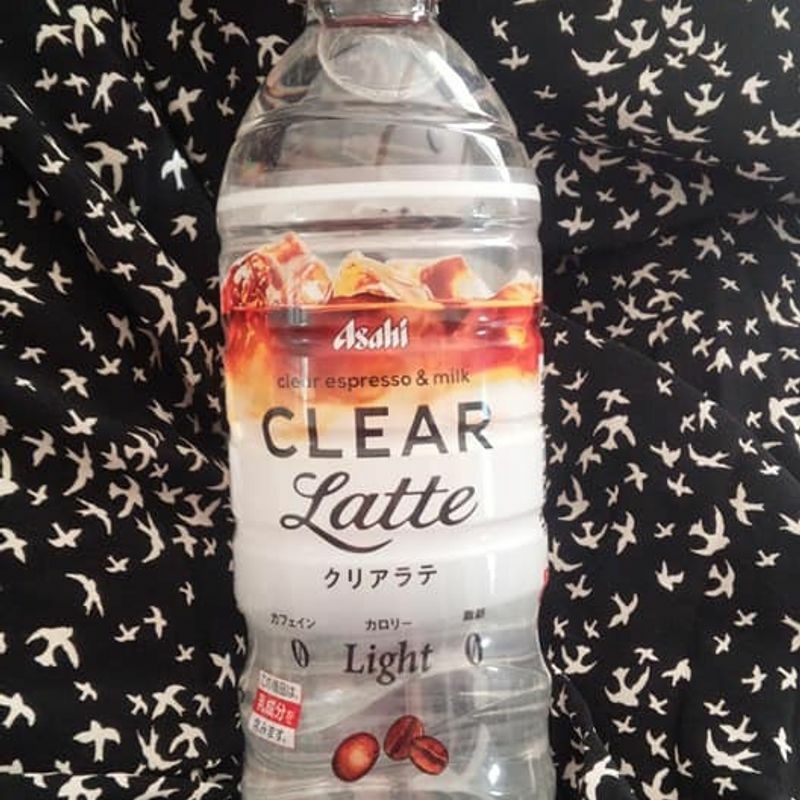 Clear latte with zero caffeine and light on the calories. What kind of a magic drink could this be?? So, I poured myself a glass to enjoy the novelty of it and hoped for the best when it came to the taste. I shared it with a friend and she came to the same conclusion. The look of it was so crisp and clear it must be a great drink to have on a hot summery day. I mean, I knew it was nothing but artificial flavoring, so I wasn't expecting to be amazed by the flavor, but I was hoping for... more flavor. It tasted like a coffee flavored candy that someone melted into a glass of water. I don't even know how they were trying to pass this off as a latte. I have had scented pens that reminded me more of milk than this drink. And the worst part was how dry it left my mouth after having it. The more I drank, the more I needed a real glass of water. Far from refreshing. 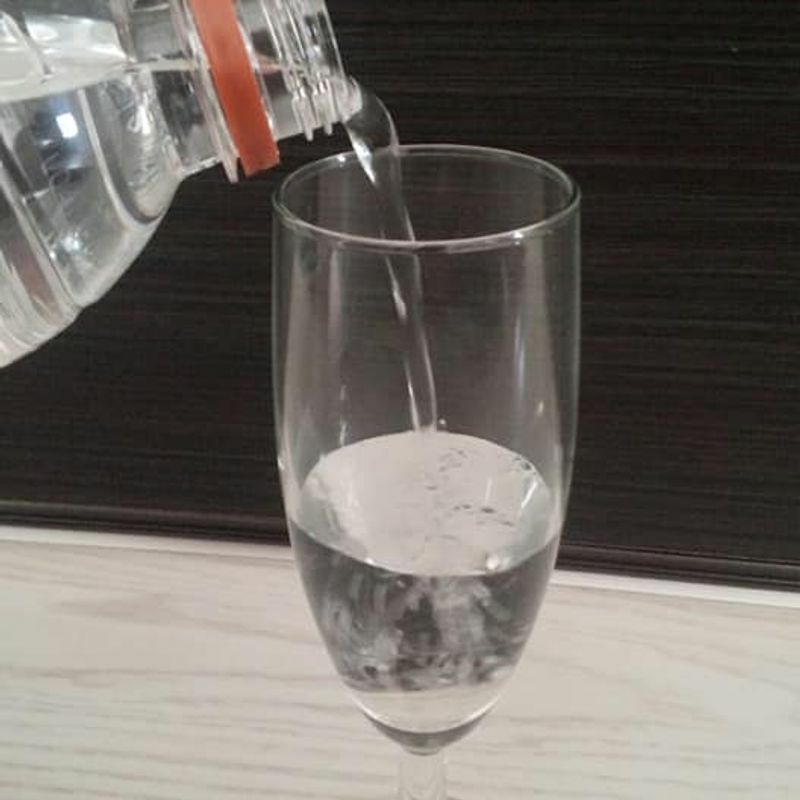 If I am so desperate for a non-caffeinated beverage that is clear and low in calories, I think I will just have a lovely glass of water next time. Two thumbs down. My friend didn't even finish her glass and the rest of the bottle sits in the fridge waiting until I get a chance to prank someone. 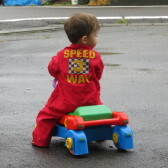 All I know is that I don't want it. Just got this to try myself and I'm also not impressed! It smelled okay but tastes crazy artificial and chemical-ish...although what can I expect from a clear latte I suppose!